Recently I needed to play with a “One Column” WordPress Theme for one of my other sites. I tried downloading a couple of different themes by other people and none of them fit me well. So I decided to take my own “One Column” theme that I last modified in 2006 and cleaned it up and added new functionality to it. 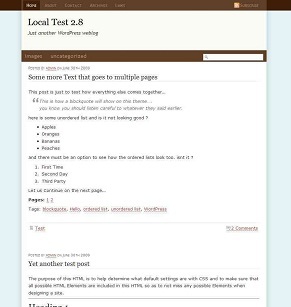 It is available now for all of you at the One Column WordPress Theme Page.